Considering a Dash Camera system for your vehicle? Well that can be very confusing, the market is flooded with a huge range of brands and styles. All with different functions, quality and reliability. Andrews High Tech Automotive knows dash camera systems, we fit lots of them to all manner of vehicles and the reality is you only get what you pay for. The two most popular cameras we fit (usually front and rear set) are the F100 left and the F770 pictured on the right. Both of these cameras are excellent with high definition recording. 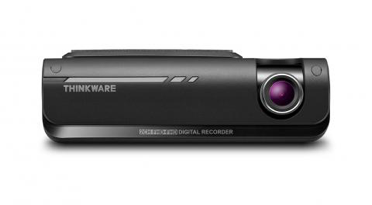 The F100 is tiny measuring 78 X 34 X 31.5 mm and a camera resolution of 1080p. Parking Surveillance Mode – Available If Unit Is Hardwired = Impact And Motion Detection. The F770 is also very small measuring 110 mm long x 32 mm high. This high quality unit has built in GPS and WiFi. Recording frame rate = 30 Frames per second. This camera is equipped with Super Night Vision – proprietary video processing technology enhances video quality in low-light conditions. The F770’s internal GPS provides accurate location information while the safety camera alert function is on continuous alert to warn the driver of red lights and traffic enforcement cameras. The F770 incorporates a lane departure warning system if you happen to drift out of your lane. A front collision warning system if the unit detects the stopping distance between your vehicle and the vehicle in front is minimised. An alert if you are in stationary in traffic and the vehicle in front of you moves off while you are distracted. Using the GPS data, the F770 can precisely pinpoint the vehicle’s location and routes with its driving speed on the map. The GPS helps you accurately assess the status of the accident by providing you with the vehicle speed, the direction of the collision and the severity of the impact. The dash cam not only records driving footage but can also be used to track and recall past driving routes whether it be work or holiday routes. Continuous Recording Mode – This mode is activated automatically when you start the car. Recorded videos are saved in one-minute segments with an auto-looping mechanism. 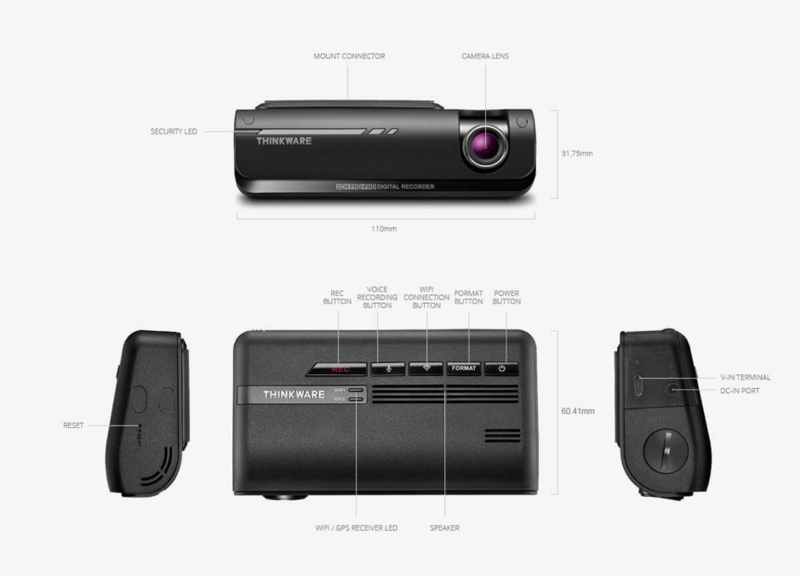 Event Recording Mode – The active impact monitoring system will automatically store the video data ten seconds prior to and after a collision registered by the 3-axis G-sensor. Manual Recording Mode – Similar to a video camera, you can use the manual recording mode to capture events that occur in front of your vehicle whether or not it is in motion. You can easily control, manage files and configure the settings of your dash cam from your smart device with Thinkware dash cam mobile viewer app. 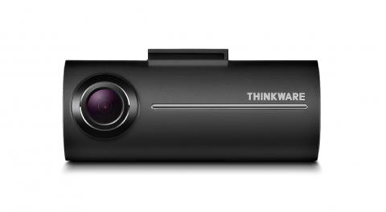 With the Thinkware dash cam mobile app and the built-in Wi-fi, the F770 allows you a convenient viewing of real-time recordings as well as downloading, accessing, or deleting recorded videos on your mobile phone. You may be interested in a camera system for your fleet of vehicles that allows you to access live and recorded camera footage. We recommend the Unisyn camera monitoring system. This system will allow you view live where your asset is and what the operator of the vehicle is doing. This system is a powerful tool when married to a vehicle tracking system. The fleet controller can be alerted when a driver abuse event is detected (these parameters can be custom set) events such as speeding, harsh braking, harsh cornering are an example. The fleet controller is notified of such an event by a text to mobile phone or email, in which case the live and recorded camera footage surrounding the event can be viewed. Refer to the Unisyn page on our website to view more information on this system.